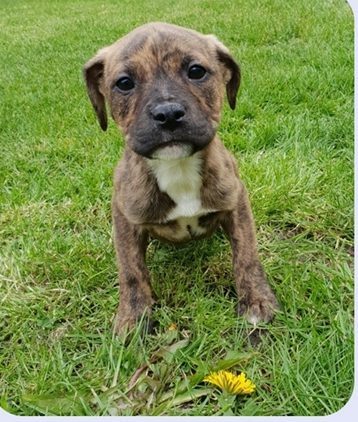 Published 13th April 2019 at 358 × 422 in Dogs Looking for Homes. Staff cross pups, 10 weeks old (Mother was staff cross, father unknown). 1 boy available.